A Little History of Thought: I am a Thomist. What is a Thomist? | ADULT CATECHESIS & CHRISTIAN RELIGIOUS LITERACY IN THE ROMAN CATHOLIC TRADITION: hosting ONLY True Christians!! !, or "How to think Catholic!!" A Little History of Thought: I am a Thomist. What is a Thomist? A Universal Church founded by the Creator of the Universe, must be just that, universal. Even, at least, entertaining various systems of thought. 1Thess 5:21. There were many practical questions to be answered after our Lord’s Ascension. Anyone attending a Bible study for even just the first time, realizes quickly the same passage of scripture means varying things to different people. And, what about the gaps, where scripture says nothing? 🙁 And, the canon wasn’t defined, completely, until at least the 4th century, the Gospel of John and Revelation, so beloved today, being some of the last included texts. Even the determination of the canon was from a practical reason. There were various and sordid apocryphal scrolls floating around the Mediterranean. Which were the authentic ones? Which were frauds? Which heretical? Which were to be believed? To be adhered to? Which should we read at Mass? The Church had to define. It is the Church, from the beginning, under the guidance of the Holy Spirt, which has authority over scripture, and not the reverse. It has always been so. Many of those apocryphal texts can still be sourced today. There is no serious proposal to revise the traditional canon, that I have heard? Holy Spirit must have gotten it right? Truth is not determined by a majority. Lack of gravity/weightlessness is not achieved by 51% consensus. The apple still falls to the ground, even when floating is popular. “Truth cannot contradict truth.” -Pope Leo XIII. The Second Vatican Council described Thomas’s system as the “Perennial Philosophy”. “The fact that Thomism is the philosophy of common sense is itself a matter of common sense.” – GK Chesterton, 1933. Thomism is a philosophical school of thought following the teachings of Thomas Aquinas, especially as contained in his most famous summary work, Summa Theologica, the importance of which the Roman Catholic Church arguably regards as second only to the Bible. Aquinas, arguably, moved the philosophy of the Church from Plato to Aristotle. 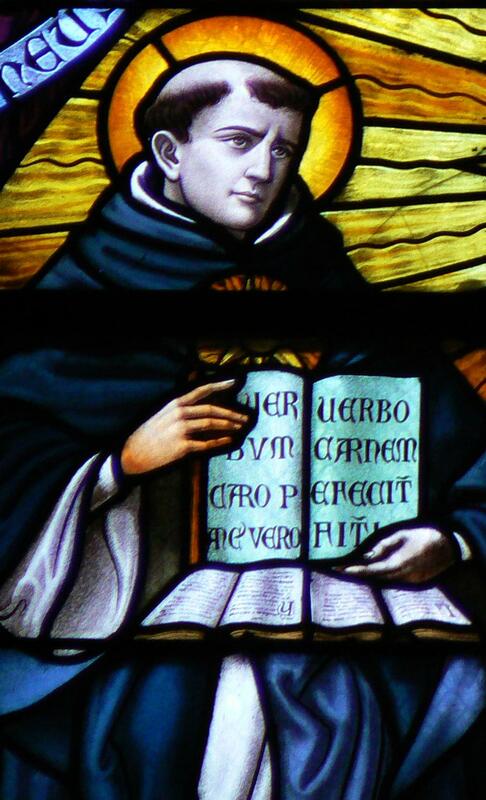 Thomas Aquinas’ brilliant mind coincided with Europe rediscovering Aristotle, not from Latin, but from Arabic. The work of the philosopher had been lost to Europe in the “Dark Ages”, preserved in Middle Eastern civilization and then returned to Europe in the 13th century, on the doorstep of the Renaissance. It was Aquinas’ burning desire to integrate Aristotelian philosophy into Christian Revelation. If the Truth is the Truth, there should be no contradiction. Truth cannot contradict truth. We may misunderstand Revelation, we may need to deepen/refine our understanding, we may need to revisit our interpretation, in the light of truth, but it never contradicts. Apparent inconsistencies are divine calls to go deeper. Truth cannot contradict truth. The Catholic imagination is not afraid of truth, whencever it proceeds, as Truth Incarnate came to Earth, to dwell with, and teach, and save us.